Celoplás is characterized by its relathionship of proximity and partnership with the customer throughout all the development process for effective product industrialization. 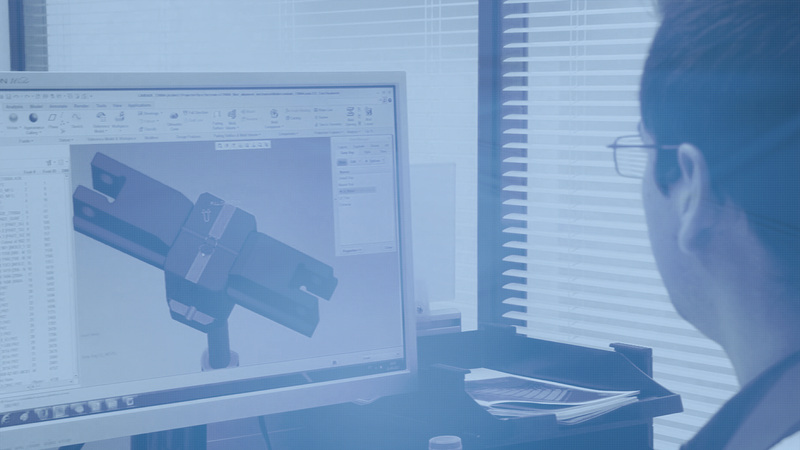 Each product is considered a new challenge, and its development is ensured by a highly-specialized team supported by CAD, CAM and CAE software and a strong culture of rigor, quality and innovation that guarantee a total customer satisfaction. Today Celoplás is a national reference and internationally recognized for the manufacturing of high-precision moulds, including moulds for micro parts. All tools are produced internally following strict technical specifications. The manufacturing and validation processes use the state-of-the-art machining and measuring equipment that guarantees the highest precision and quality of the moulds manufactured, mainly: CNC grinding, high-speed 5-axis machining, EDM (wire and spark), microelectroerosion, laser engraving and cutting, and laser welding. The entire process is developed through a close partnership with customers and under the supervision of highly specialized employees. The production department of Celoplás stands out for its modern moulding equipment and its peripherals, its optimized layout, and conditions that meet the highly demanding requirements of its customers, quality and other normative references. Celoplás offers the possibility of production in a class 100 000 cleanroom. The sector is supported by modern, fully automated and real-time inspection, measurement, recording and control equipment, as well as highly effective planning and logistics methods that guarantee flexibility and an effective response to customers’ requests. The constant commitment to the automation of productive processes results into a high flexibility also reflected in the high precision of manufactured products and waste reduction. From the robotization of parts ejection and automatic placement of inserts, to the full automation of raw material feeding and drying processes, the entire process is studied in order to lead the intervention of our employees to more important tasks, where we highlight the Quality control plan (Self-monitoring), as well as the application of new tools linked to continuous improvement, such as 5S + Safety, TPM, DOE and Lean culture. Celoplás has internal capacity to develop and design equipment to support production, as well as integrated assembly and printing processes. After validating the whole process at Celoplás, these activities can be transferred to the assembly and/or printing sector in our associate company Celoprint, Impressões Lda. The Quality control and validation of production processes are ensured by metrology and materials laboratories. These laboratories are equipped with the state-of-the-art three-dimensional optical and contact measurement technologies, climatic chambers, rheological characterization equipment and advanced microscopes that assure all the needs to plastic parts and tools measurements, as well as validation and verification of raw materials.